Instant Articles is a tool designed for media publishers to distribute fast, interactive articles to their readers within the Facebook mobile app and Messenger. By using the same infrastructure we use to load photos and videos, Instant Articles can load up to 10 times faster than standard mobile web articles. There are two types of ads in Instant Articles: advertisers on Facebook can choose for new or existing campaigns, or publishers can include their own direct sold campaigns. 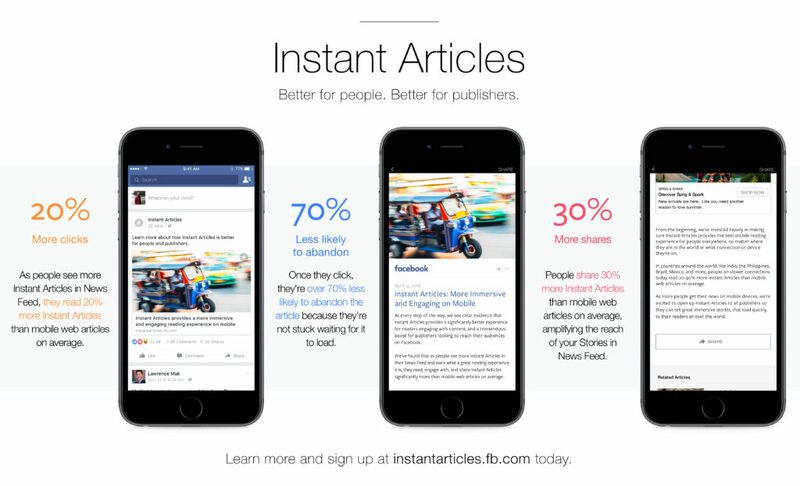 Learn more about how publishers can use Instant Articles here. 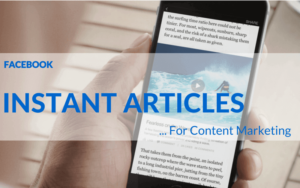 Note that Instant Articles are now part of automatic placements, and available as a separate, but not standalone, placement within Ads Manager and Power Editor. Instant Articles must be used in combination with Mobile News Feed. Regardless of format or Objective, there’s no need to upload new creative. Ads in the Instant Articles use the same images as ads on Facebook. How do advertisers get started? 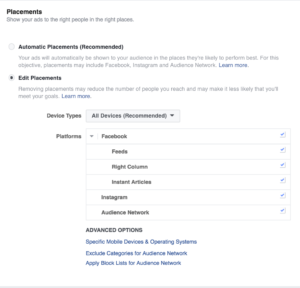 If you are already running Facebook ads, you can add Instant Articles to your campaigns by using automatic placements, or by checking the Instant Articles box in any of Facebook’s interfaces, as well as the ads API. If you are creating new ads, we recommend using automatic placements. If you edit placements, you’ll have the ability to select Instant Articles as a separate ads placement option in Power Editor and Ads Manager. Note that not all formats and objectives are eligible for delivery in Instant Articles. Click Edit Placements and make sure that Instant Articles is selected. If not, click the check box next to Instant Articles to include this placement in your campaign. Select the Ad Sets tab near the top of the screen. Select the Create Ad Set button. Choose the option to create a new ad campaign and click Continue. Select your objective and click Continue. In the Placement section, click Choose your placements. Check the radio button for Instant Articles. Click Review Changes to save your work.